6 Things You Should Definitely Let Go Of In Your 20s! They say that your 20s can be the best and the worst years of your life. This is a period of the infamous “quarter-life crisis” and also a phase of significant personal growth. However, there are a few things we really need to let go of to make our 20s the best decade of our lives. For reasons that we can’t fathom, there is this one man we keep going back to - even if it was a terrible relationship. We need to go out and discover more people, give other people a chance and give ourselves another chance too. We need to get rid of all that toxicity. Starting right now. So, you messed up in the past a million times. It happens to everyone - there is nothing you can do about it. Making mistakes is a part of learning and growing up. We know that the guilt haunts you on cold, wicked days and you feel miserable. But you have got to remind yourself that you are just human and that all of it lies in the past. You are a better person now. Let it go. What’s the point really? When you hold a grudge against someone, it affects you more than it affects the person you are holding a grudge against. While that person continues with the normal course of his/her life , you on the other hand are burdened with sour feelings. Be an adult, talk it out. Holding a grudge against someone isn’t going to get you anywhere. Mostly when you were 16. A lot has changed since then and you are not even the same person any more. Dream big and work towards achieving them, but don’t fret if you can’t achieve or live your teenage dream. Our minds worked pretty differently then. No matter what happens, your family will always have your back - especially when you hit rock bottom. While we don’t get to choose our siblings, we do get to choose how our relationship with them will be. Your siblings love you and would do anything for you - always keep that in mind. So shun away all ill feelings you have towards them and love them back. In your 20s, especially after you graduate, people will tell you that “real life” begins now. When you start working, when you shift towns and countries to make a living, when life suddenly gets hectic and serious, when discussions about getting married happen more deliberately - this is when you will start comparing yourself to the people around you.You may feel left behind in the rat race, but you just can’t let it get it you. Take your own time, move at your own pace. This is your life and it won’t be the same as anyone else’s. GIFs: Giphy, Tumblr HAVE A STORY IDEA FOR POPxo? If you want to hear about it, we can write about it! Just tell us your idea here! 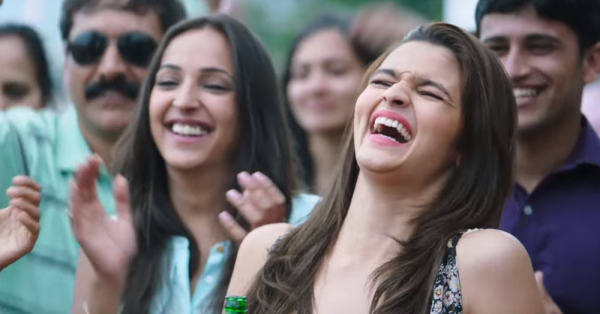 MUST-READ: 20 Little But Important Things EVERY Girl Learns In Her 20s! MUST-READ: 7 Things You Don’t *Need* To Know (Or Do) In Your Early 20s!